Makerere University lecturers have ended their strike over the suspension of university staff leaders, including Dr Deus Muhwezi Kamunyu. In January 2019, vice chancellor Prof Barnabas Nawangwe suspended Dr Muhwezi Kamunyu, the chairperson of the Makerere University Academic Staff Association (Muasa), for reportedly inciting lecturers to lay down their tools. 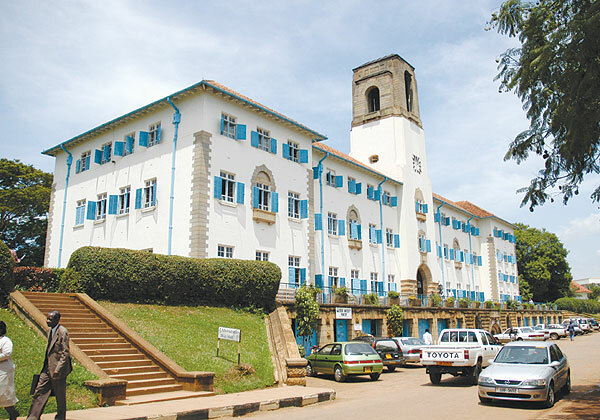 Others suspended alongside Kamunyu were Bennet Magara, the Makerere Administrative Staff Association (Masa) chairperson, and the association’s general secretary, Joseph Kalema. But staff responded to the suspension with a sit-down strike. For almost a month now, some lecturers stayed away from classes while others taught, intermittently. At the law school, for example, lecturers skipped classes, forcing Nawangwe to ask council to indefinitely close the school. But pressure has been mounting against Nawangwe’s work methods, characterized by a string of suspensions of students and lecturers. On Thursday, Nawangwe told parliament’s education committee management would compensate for the time lost during the strike by extending the semester at the most affected schools. Students reported for the second semester of the 2018/19 academic semester on January 19, 2019. The semester was expected to end on May 18, 2019. Lecturers have pledged to return to class on Monday. But they have given council and management a month within which to consider the reversal of the suspension of the three staff leaders. For now, The Tower Post has learnt, Makerere will review the trio’s suspension, and a committee instituted by Nawangwe for the same purpose has been suspended.